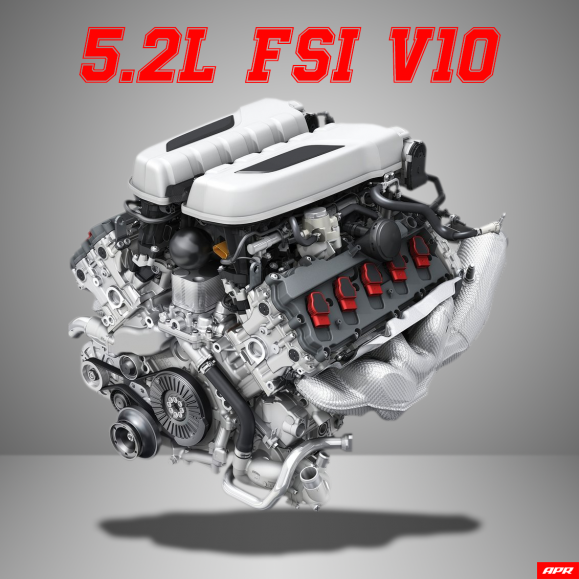 Expect massive gains for a naturally aspirated engine, with over +100 HP on the standard R8 V10! The upgrade supports 95 RON, 98 RON and E60-E85 ethanol. Full power charts for each octane and each vehicle are available on our product page. The ECU Upgrade supports left foot braking, speed limiter removal, a 9,000 RPM rev limiter in manual mode (and all other modes with a TCU Upgrade), fully adjusted thermal management, optimised throttle, intake and exhaust flaps, lambda control, port / DI split, cam phasing, ignition timing and more for increased power and torque. The factory power and torque gauges have been adjusted to match the new output. Program switching can support up to 4 programs at once and includes an optional valet mode that greatly limits vehicle speed and RPM. Furthermore, we’ve included an optional quite cold start mode that tones down the exhaust upon startup, which is surely to make your neighbours happier!